The business idea of the Finnish company Jostec Oy is to develop production methods, which enable our customers to maintain profitable and competitive business operations. 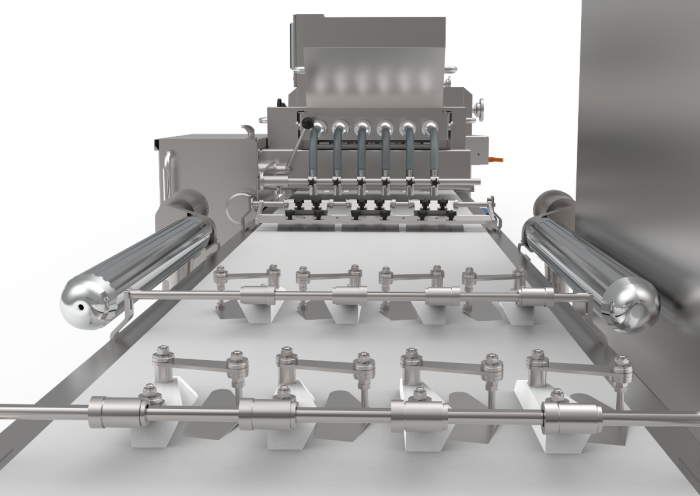 We are specialists in design and production of machinery and production lines for bakeries. Our experience and our continuous product development have generated us strong self-confidence and success among our customers. Depending upon the demands of the customer, Jostec can offer a range of solutions, from a complete production line or individual modules to enhance productivity of your current production line set-up. Rolling the dough from the hopper to calibration through multiple gentle phases. The amount and the way of handling the dough depend on the recipe. An even dough band is ready for further processing. Cutting, molding and decoration are a few examples of what the line can do. The length of the bespoke line depends on the handlings. The products are ready to be baked. Panning on trays reduces handwork and raises quality. The amount of products on the tray can be defined in the program. The program is also fully flexible to be altered. A tray filled with products can be automatically moved into the rack. 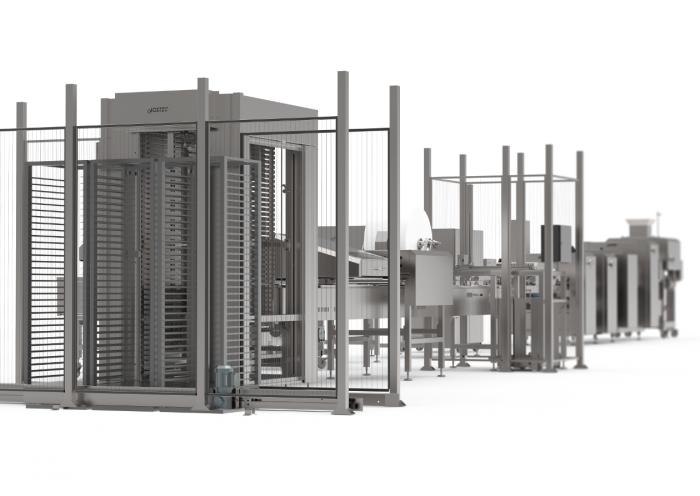 Tray handling can be executed by automazing the tray lifting from the tray carrier, the tray can be covered with paper when needed, taking the tray into the rack and changing the rack. Jostec has an exceptionally extensive 'know-how' about dough behaviour and the special demands that different types of dough require of machinery. Challenge us with a new product – we will be happy to visit your site to survey your needs – whether you intend to make changes to your present production line, expand your production capacity and/or design or build a totally new production line. 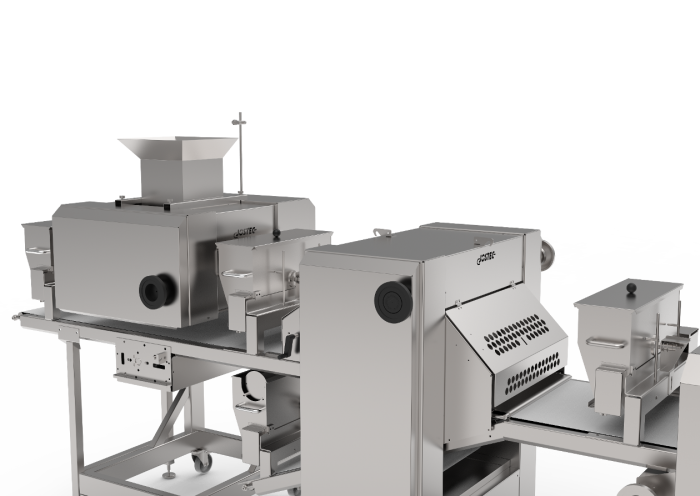 For almost 40 years Jostec Oy has designed and manufactured production lines for the food manufacturing industry, in particular for the bakery industry. Spring 2017, Jouko Saarinen, the founder of Jostec Oy, sold the company to the owners, Ari and Kati Lindholm. Between them, they will lead Jostec Oy into a new future, including the introduction of new products and increased efficiency of supply to existing and new customers and their changing needs. Jostec Oy will continue as a family owned enterprise – both owners and staff are passionate about their work.